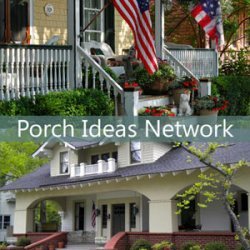 Knowing how to repair porch columns (or replace a porch column) can save you lots of money and prevent damage to your porch and home. It is easier than you might think and can be done fairly quickly. 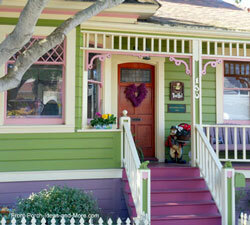 Wood porch columns are susceptible to rot and decay over time. If not repaired or replaced, a structurally deficit porch column may no longer support the porch roof causing extensive damage. 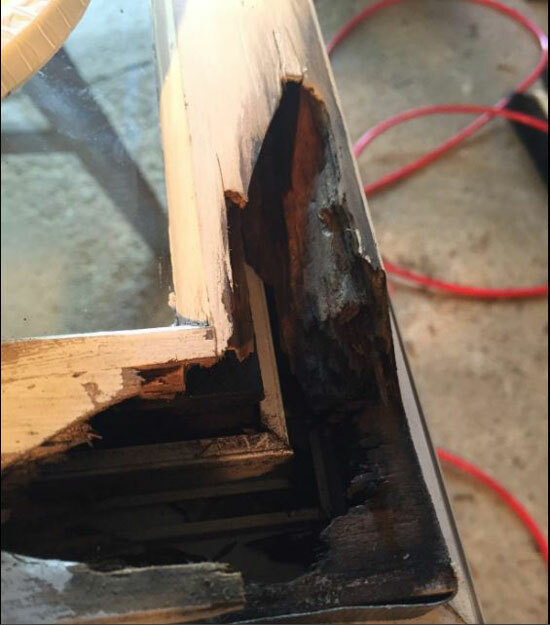 Depending on the amount of decay or damage to a wood porch column, you have options ranging from wood restoration products such as liquid wood and epoxy and others to actually replacing part of the column. 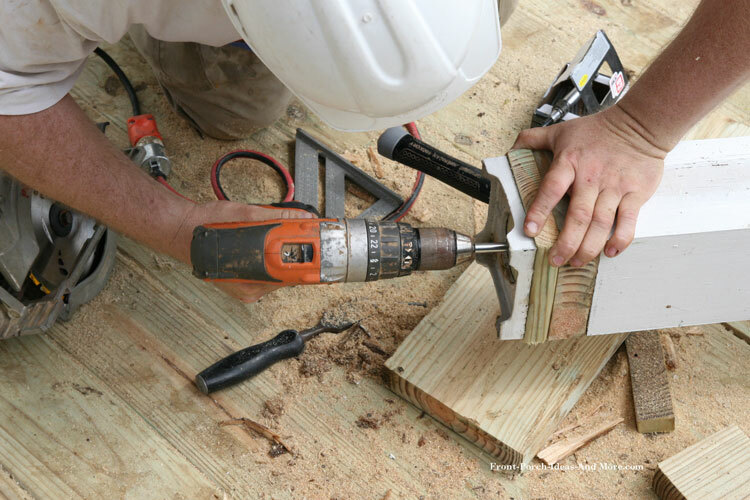 Almost anyone with basic carpentry skills can repair a porch post; however, for more extensive repairs, we highly recommend you contact a reputable local contractor. Wood restoration kits are an excellent way to repair porch columns (and other rotted or decayed wood structures) without removing the column itself. 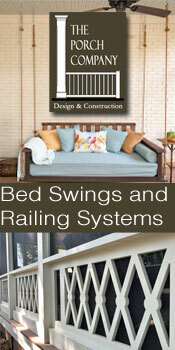 You can even use some of these products for structural repairs too. 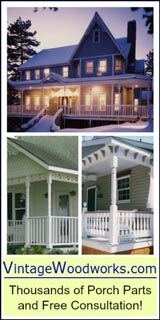 There are numerous wood restoration products on the market you can use to repair porch columns. 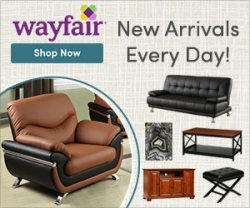 Not all products are the same; choose one that best fits your situation. For example, LiquidWood® is a deep penetrating wood product that regenerates and waterproofs rotted, dried-out or spongy wood. It restores structural strength and durability to wood fibers. WoodEpox® is a shrink-free wood replacement compound that can be used in any thickness to replace and repair wood. It can be painted, stained, sanded and worked like wood. This kit has two 6 ounce containers of the epoxy that you mix together, which gives you the equivalent of 22 cubic inches. This would cover 108 square inches about 1/4 inch thick. You an also purchase the epoxy separately in pint and quart containers. The 2 pints would cover 108 square inches about 1/2 inches thick. 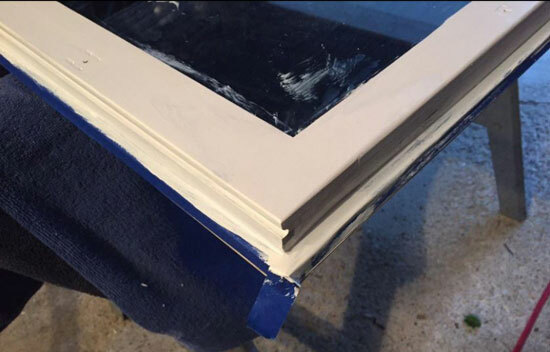 Check out this video that shows you how to properly use a wood restoration kit like Abatron's. JB Weld has a wood restoration product also. It has a polymer compound that when cured has the same density as wood so you can use it to fill in to add structural strength to rotten or decayed wood. 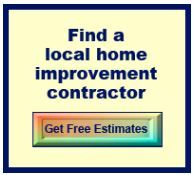 You can use it to repair window or door frames and furniture as it is easily sanded and painted. 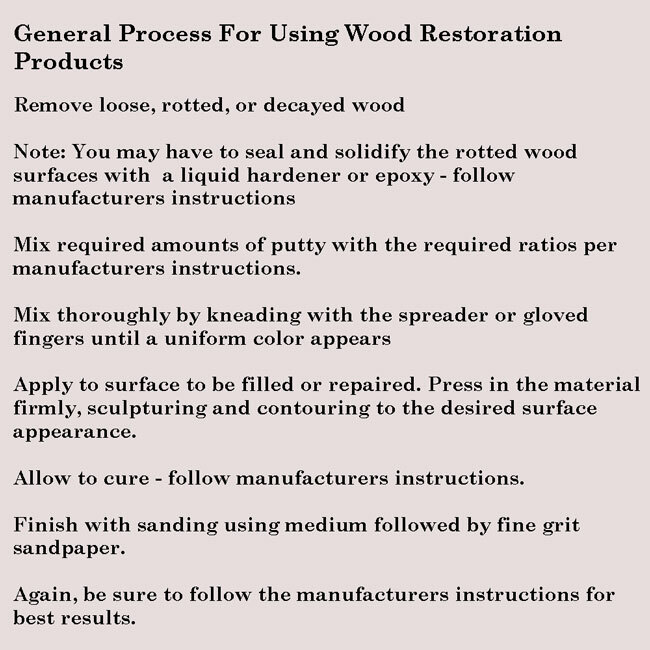 We've listed the general process for using a wood restoration product; different products have varying processes. Be sure to read and comply with all manufacturers instructions when using wood restoration products for best results. 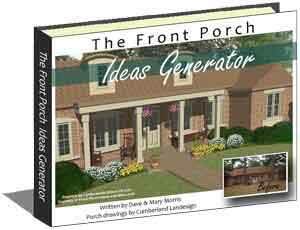 These are but two of many great products you can use to repair porch columns and other wood structures. Why not take a look at these and other wood restoration products on Amazon (affiliate link). 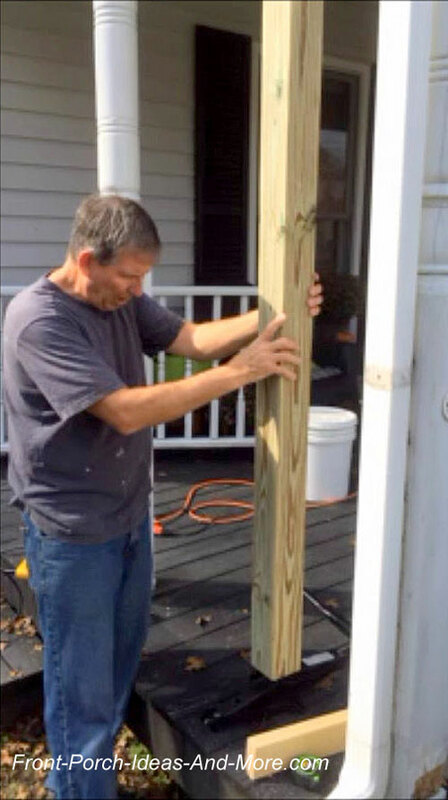 We'll show you how to remove and repair a decayed porch column or for replacing one. Depending on your skills, time available, or budget, you might want to consider each option. Sometimes, it is best to just replace the column; the process is the same. 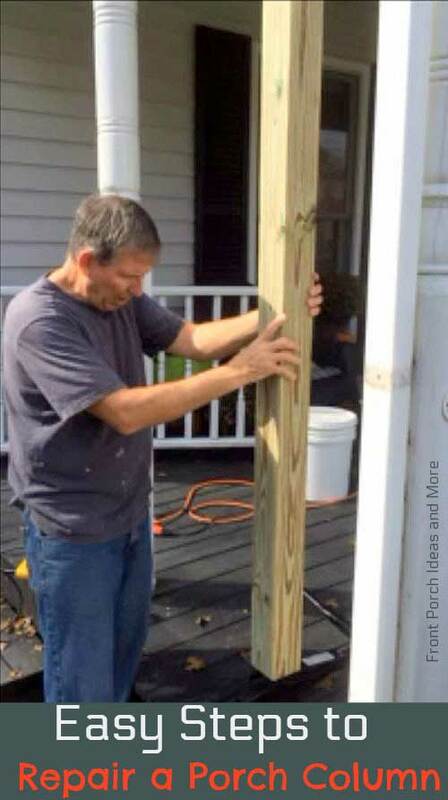 Here's how to repair porch columns that have only minor decay at the bottom. Use a hack saw (or a reciprocating saw) to cut through the nails or screws that attach the column to the beam at the top of the beam. 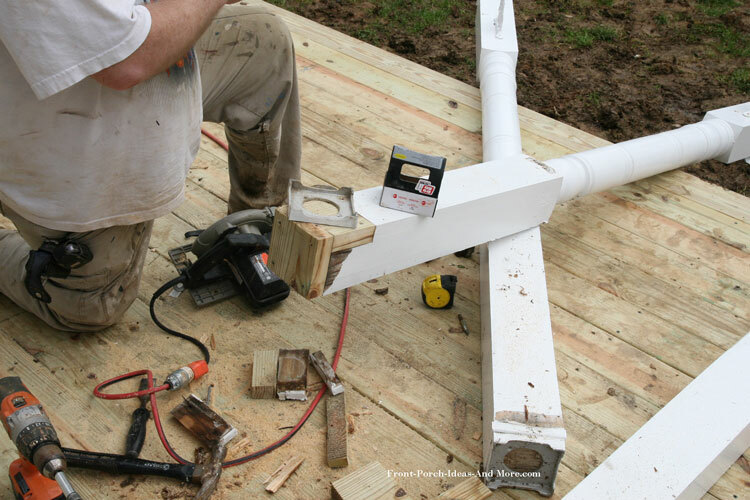 Use a jack (we used a car jack) and a 4x4 post or equivalent cut to fit between the jack and the beam. Raise the jack ever so gently as to take the pressure off the column - you don't have to raise it much. You then should be able to remove the column. 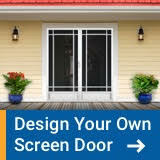 Remove the bottom plate if applicable (as was the case with our porch column). Mark and cut the column a few inches above the damaged wood. In this case the bottom of the column and a partial side needed to be repaired. We were able to cut out the damaged section which required us to cut new sections from treated lumber. We then used construction adhesive and exterior screws to attach the new pieces. Ensure the new pieces are sized appropriately to ensure the column is the same length as the original column. If there was an existing bottom plate, re-attach it to the column. 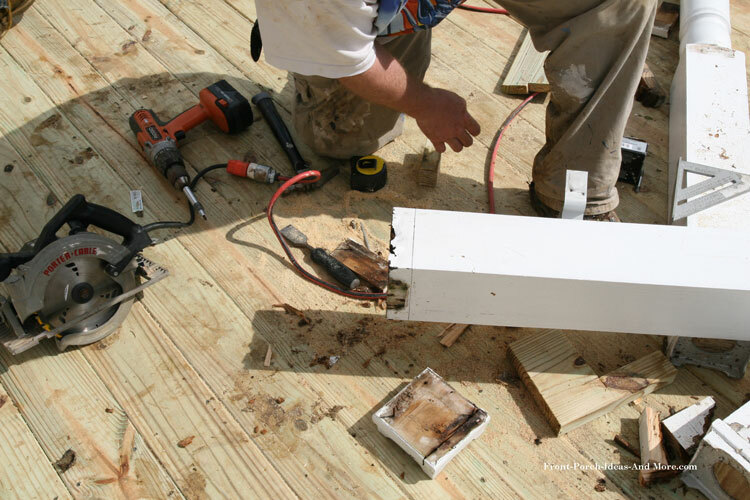 Position the column, lower the jack, and secure the repaired column to the beam with nails or screws. 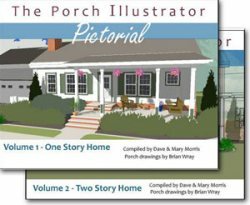 See how to replace a porch column below. This video shows how to remove and repair a porch column that has decayed significantly and a larger replacement insert is required. This may require moderate woodworking skills.